Don’t want to listen? Read the podcast below! Coming up we’ll hear a truly fascinating interview with Keith Weiner of Monetary Metals and the Gold Standard Institute. Keith tells the story about a large cash sale he had a decade ago, how incredibly uncomfortable it made him to have such a big cash position and how it ultimately led him to begin thinking about and pursuing a new gold standard as a solution to our nation’s monetary problems. He also lays out a compelling case about why the dollar, or Federal Reserve Note, is deeply immoral. Don’t miss a wonderful interview with Keith Weiner, coming up after this week’s market update. Precious metals markets are off to a strong start in 2019. Gold and silver both closed Thursday at multi-month highs as the stock market reversed sharply to the downside. Investors were disappointed by manufacturing data showing a slowdown in industrial output. They dumped economically sensitive stocks and bid the U.S. dollar lower on foreign currency exchanges. Markets now expect the Federal Reserve to pause its rate hiking campaign and possibly even begin cutting rates later this year. The weaker dollar helped boost crude oil and precious metals prices. The energy and mining sectors are among the only gainers in the stock market. The HUI gold miners index closed at a 5-month high on Thursday. As for gold itself, it’s down a bit today with spot prices currently coming in at $1,284 per ounce, now up a mere 0.1% this week. The physical gold market is likely to tighten this year. Analysts at Refinitiv GFMS project gold mining output will decrease slightly – from approximately 3,282 tonnes in 2018 to 3,266 tonnes in 2019. Physical silver could also see pressure from diminished mining capacity and rising investment demand as prices recover and attract more mainstream attention. Silver shows a gain of 1.9% this week to trade at $15.72 as of this Friday morning recording. Platinum is up 2.6% to $817 an ounce. And finally, palladium continues to stay hot after putting in a record breaking 2018. It’s having a great day so far today and is now up 3.9% in the first week of trading of 2019 to come in at $1,308. Well, as if investors didn’t already have enough to worry about, on Thursday Nancy Pelosi was sworn in as the new Speaker of the House. Of course, there’s nothing “new” about Nancy Pelosi or her ideas. She has been representing San Francisco and its values in Congress for over three decades. What is new is the growing contingent of avowed socialists within her ranks who are pushing her to endorse Medicare for all, “green” jobs for the politically connected, and a long list of other giveaways…plus the impeachment of Donald Trump and amnesty for illegal aliens. Speaker Pelosi’s first task will be more mundane – find a way to get the government reopened. She is in the difficult position of trying to negotiate a deal that will be acceptable to her left flank as well as President Trump. No such deal appears to be forthcoming anytime soon as both sides dig in for a fight. For his part, President Trump graciously reached out to the new Speaker and struck an optimistic tone. But Speaker Pelosi doesn’t appear willing to give Trump anything for his signature issue of a border wall. Donald Trump: I just want to start off by congratulating Nancy Pelosi on being elected speaker of the house. It’s a very, very great achievement, and hopefully we’re going to work together and we’re going to get lots of things done, like infrastructure, and so much more. I know they want to do that very badly, so do I. So, hopefully we’re going to have a lot of things that we can get done together, and I think it’s actually going to work out. I think it’ll be a little bit different than a lot of people are thinking. CBS Reporter: Are you willing to come up and give him some of this money for the wall? CBS Reporter: Because apparently that’s the sticking point. Nancy Pelosi: No, nothing for the wall. No, how many more times can we say no? Nothing for the wall. In the strange political spectacle that is the government shutdown fight, neither side actually cares about the $5 billion President Trump wants for border security. It’s not about the money. If fiscal responsibility were the issue, Democrats and Republicans wouldn’t be talking about a massive bipartisan infrastructure bill. The government wouldn’t be set to spend $4.4 trillion in the current fiscal year. The government wouldn’t be set to run a budget deficit of $1 trillion. Adding or subtracting $5 billion for a wall or a see-through fence of the sort that Democrats supported under previous administrations changes nothing about the dangerous fiscal trajectory of the country. A reckoning is coming. Maybe not in 2019. But almost certainly by the mid 2020s, some kind of funding crisis will hit. It will make both sides wish it was artificial political theater like the current shutdown is. In a few short years, waves of retiring Baby Boomers will drain Medicare and Social Security. The programs will require a massive multi-trillion dollar bailout. But the government will likely be running routine annual budget deficits of over $1 trillion. It will be carrying a growing debt-to-GDP ratio spiraling toward third world levels that historically trigger default or hyperinflation. Under our fiat monetary system, though, a debt default is entirely avoidable. That’s the good news for politicians. The bad news for the rest of us is that when the Federal Reserve’s printing press becomes fully engaged to monetize U.S. debt, the value of the dollar will continue to fall against tangible assets. The prices for everything we buy will skyrocket even faster. Such a scenario may still be a few years away. But it is difficult to see how it could ultimately be avoided. Before the debt crisis turns into a currency crisis, precious metals markets will reflect the gathering threats. There are already enough threats from a gyrating stock market, a dysfunctional political system, and an unconstrained monetary system to potentially help make 2019 a big year in the gold and silver markets. Well now, for more on how gold can play a key role in restoring sound money to monetary system and much more, let’s get right to this week’s exclusive interview. Mike Gleason: It is my privilege now to welcome in Keith Weiner, CEO and Founder of Monetary Metals, and President of the Gold Standard Institute USA. Keith is a hard money advocate who has been an outspoken proponent for the gold standard and restoring sound money to our nation’s monetary system. Keith has a PhD from the New Austrian School of Economics, and his articles have appeared in numerous publications on Internet sites throughout the globe, and it’s a real pleasure to have him on with us today. Keith, thanks so much for taking the time, and welcome. Keith Weiner: Hey Mike. Thanks for having me on. Mike Gleason: Well Keith, I think a good place to start would be to have you explain a little bit about your efforts to bring about the restoration of a gold standard. As a primer, give us some background on why you believe it’s necessary in returning confidence in the dollar and what kind of change it would bring to our nation’s finances which, as we both agree is quickly running off the rails. So, how did you get to the point? Why are you so passionate about this cause and ultimately why is it needed? Keith Weiner: So, I was a classic computer nerd at one of the computer science school. Dropped out because I got bored, wanted to build a software company which I did from 1994-2008. Sold my software company which is called DiamondWare to a little company called Nortel Networks. The transaction was August 19th, 2008 that happened to be the last acquisition that Nortel ever did. They immediately right after that began spiraling out of control and entered bankruptcy by January 2009. And then I closed my transaction with a cash deal heading into the fall of 2008, the first it seemed very surreal to me if I was setting in 100% cash profession and too big to file banks watching everything go on sale, but then as things continued to go on, I began to become more and more alarmed and realized that the standard explanations for this didn’t make any sense. I dove deeper and deeper into markets and economics just to understand and protect myself. The deeper I got in, the more I realized how serious the problem was and it clicked for me that I wanted my next venture to be part of the solution, and it was obvious even before I started to study economics too much, it was obvious that the solution had something to do with gold. If it was a normal world my next venture would have been another software company. But given the world as it is, I wanted to be part of the solution and that was, that was gold. Mike Gleason: Now as many listening may already know we are fellow travelers and with the Sound Money Defense League a Money Metals public policy project we’ve been working on. Removing the sales and capital gains taxes on gold and silver at the state level among other things, you were deeply involved in the success in Arizona, so you know it can be an uphill battle but success is possible. One of our allies in this cause is Congressman Alex Mooney from West Virginia. Now, you recently wrote an open letter to Congressman Mooney about HR5404, the bill he introduced which would define the dollar as a fixed weight of gold. In that letter you outlined why defining a dollar in terms of the fixed weight would be akin to price fixing and therefore dangerous. But, you certainly support sound money, so is there a practical way to relink the dollar to gold? 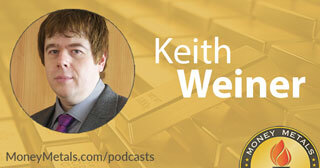 What would a workable gold standard look like, Keith or would a different approach be better? Keith Weiner: So, if you look back to 1792, the first Coinage Act, the dollar was not linked to gold. The dollar was a definition of a certain weight of gold or silver. And so we’ve had a series of evolutions, or maybe arguably call them de-volutions in the century since 1792. The net result of which is that by 1971, Nixon infamously, and if you haven’t seen by the way, there’s a YouTube of him in his little speech in 1971, infamously severing the last link between a dollar and gold. So, for the last 47 years, the 47th anniversary will be coming up August next month. After 47 years the dollar has been a pure irredeemable paper product that has no relationship whatsoever to gold. To put this in perspective, what that means is, when somebody borrows a dollar, or somebody lends a dollar, there is no expectation that gold has anything to do with the transaction. How do you come along and retroactively declare that actually it was a gold transaction? And so I think in my letter I’m trying to remember what I said and what I didn’t say to Congressman Mooney. If you borrow let’s say $100,000 and the government comes along and retroactively says now the dollar is linked to gold, that means effectively your repaying gold. So, if the gold price was set low, let’s say a $100, that means it’ll take you 1,000 ounces of gold to get out of debt. You’ll be working the rest of your life, and your sons’ (lives) and their sons’ (lives) and probably never get out of debt. On the other hand, if the gold price was $50,000, then would take only two American Gold Eagles that you hand over to your creditor and you’re out of debt. And so I think it’ll be the biggest worthy lobbying that Washington has ever seen. With all the creditors, and this in counterintuitive, all the creditors wanting a very low price of gold meaning that it would take lots and lots of ounces… they would be paid lots and lots of ounces for debtor to get out of debt and all the debtors would want a very high price of gold which means it would take very few ounces to get out of debt. So, I think I said to him, I applaud your intentions, I applaud where you’re trying to go with this obviously, but I don’t think that’s a practical mechanism for getting there. Mike Gleason: Yeah, certainly sounds pretty dangerous just like you described. Now it seems pretty far-fetched frankly to be talking about, a return of some sort of Gold Standard. Yes, Congressman Mooney introduced a Bill, but we doubt many of his peers in the mainstream are anywhere near supporting this kind of measure. In what context do you think Congress might actually pass an honest money bill, Keith. Is it going to take a total collapse in the dollar or do you sense there is, the makings of a viable political movement here? Keith Weiner: All I can say of a total collapse I pray it never happens. If you look at 476 AD, it was pretty horrific. And the recovery took about 1,500 years before the world was back to the level achieved under Rome. In U.S. history there’s been a number of cases where we’ve had a bad or evil institution and Americans without necessarily having that crisis, had come to realize is wrong and repealed it. The first doesn’t quite fit my criteria, that being the end of slavery obviously there was a war over that. But, in more recent decades you had end of prohibition, and you had the end of Jim Crow and now we are having, I believe were having, I think there letting them allow the end of marijuana prohibition and also what’s called Right-to-try for terminally ill patients to get access to drugs that haven’t been FDA approved yet. In each of these cases, I think it was Cato Institute published a book called Bootleggers and Baptists, the analogy being the Baptists are the moralizers, who provide cover for an evil institution, lets says prohibition, as being a little bit less emotional charged. And there was whole Temperance Movement, the idea being if you drink it was sinful and so forth. And there’s a bootlegger that profiteer off of it, and if alcohol is in the free market, that’s an above margin product, like any agricultural commodity. It’s like bottled water, or bottled soda. There’s not a lot of money to be made on it, but if you make it illegal then suddenly alcohol becomes a very expensive commodity. And so, according to this Cato book, bootleggers and Baptists, have this unholy alliance working together to keep something illegal and yet something happened and what happened was the American public finally came to realization that this was wrong. That you can’t just make alcohol illegal, it has all kinds of damaging consequences to doing it. The government doesn’t have the right to do that, and when the questions starts getting made and people start coming on board with the idea that this needs to end, then it comes to end. And that came to its end and then subsequent to that was Jim Crow, and now marijuana, and I think generally same drivers. And so, could that happen with money, I think it could, provided people come to that same realization that what we currently have is outrageous. It’s unfair. It’s immoral. When people come to that realization it will change, and probably not a minute before. Mike Gleason: Expand on that, what’s immoral about it? Keith Weiner: So, when they pass a series of laws, and we’ll broadly call them legal tender laws, we are forced to use their debt as if it were money. So think about that. What we call money is a dollar, it says Federal Reserve Note on the dollar bill. Bill being an old word for credit, a note being a word for credit, a promissory note. We’re using their debt as if it were money. Now FDR did this in 1933 when he made gold illegal to possess, as in criminal, as in go to prison for possessing gold, the way it is for cocaine today. When he made it illegal for people to possess gold, that forces people to treat the government bond as if that was a conservative risk-free asset. In fact, if you ask any regulated financial professional today, what’s a risk-free asset, they’ll say the government bond. And so, it forces everybody to turn to the government, and become a lender government, as if that was a risk-free proposition. And of course, I think it’s probably pretty well known in your audience, that the Federal Reserve, right on their website, says that their stated policy target is two percent debasement per annum. So, you’re forced to save enough paper, and they have a monetary policy of stealing two percent per year. So, I called it immoral because first of all you have no right to force people to use something, and secondly if you do force them to use something, you have no further right to then try to rob them at two percent per year. Mike Gleason: Very good explanation there, and it kind of leads me into my next question. You spoke about bonds, and I wanted to ask you about one of the benefits of gold, in your view, is the idea of gold bonds. Please explain this concept for folks who may not be familiar, and tell us why you believe that states and individuals both should start adopting the issuance of gold bonds. Keith Weiner: So, bonds is/are the payment of interest on gold and I think sort of the broader answer to everything we’ve been talking about today so far. My response to Congressman Mooney would be, if you want gold to begin circulating, you have to issue a gold bond, you have to pay interest on gold. Interest is the one thing that would pull gold out of private hoards, and into circulation. People have been hoarding gold for at least 5,000 years. They have been hiding it from their governments, and from their neighbors. I had an interesting experience a couple of years ago, I was giving this talk about the gold hoard, and how nobody talks about how much gold they have. So I was at a club called the Phoenix Roadrunners. They’re this group of gold prospectors, who literally go up in “dem there hills”, looking for gold. I know they find some, because at the start of the meeting they gave away like three nuggets. One that somebody had contributed to the newsletter, one to somebody who was really helpful with the new members, and one to a third person for something or other. Then, it was my turn to talk, so I said raise your hand if you have some gold, any amount of gold, raise your hand. You know Mike, not a single hand went up, and there was, I think 250, 300 people in the room. Including the three people that just got handed gold nuggets. Not a single hand goes up. So I said, thanks for proving my point, that people have been hiding this from everybody for thousands of years. Traditionally this was the sort of thing fathers didn’t even tell their kids, until on their deathbed, they would summon their oldest son, and say son, we have ten ounces of gold under the kitchen floorboards, under the stove, or whatever they would do, because it was so dangerous. I mean, the government could take it, the government could declare you to be a criminal, or a traitor. Your neighbors could come steal it, or slit your throat in the middle of the night. It was the sort of thing nobody wanted to talk about, nobody wants to acknowledge having (it). And the thing that will pull it out is interest. If you say to somebody, lend me your gold, I’ll pay zero, then the answer is “I don’t have any gold.” If you talk to somebody, and said lend me your gold, I’ll pay you five percent. Well, there was a semi-famous incident involving J.P. Morgan, around one of the banking panics… I believe it was 1907, I haven’t found the documentation for that. If somebody comes up to you and says “Mr. Morgan, Mr. Morgan there’s a crisis in New York, there’s a shortage of gold, what are we going to do?” And so, he said “Raise the interest rate.” Four percent, he said will draw it off the continent. And if you think about it, in those days steamships and the costs and risks and time to get gold from Europe to New York. Five percent, he said will pull it down off the moon. And so, what he was doing was, first of all, illustrating the principle of how interest draws gold into the market, and secondly bracketing it, and saying four percent of hyperbole, five percent is fantasy. So, in a talk I gave recently, and I put this in one of my papers, I saw a picture of a gold bond hanging on the wall of the Harvard Club in New York. This was a railroad bond, issued in 1905. It had a 92 year maturity, and it paid three and a half percent interest, obviously gold. And so, interest is the thing that makes the gold flow. For a state government, such as Nevada, and I’ve been in a lot of discussions with the Nevada government about this. There’s a completely different proposition, and a very practical one, actually two. Number one, so the state has a lot of gold mining going on in Nevada. It’s the number one state for gold mining in the U.S. They produce about 160 tonnes of gold here every year. So the state gets, I believe its five percent royalty or tax on the gold production. So the state has a gold income, and that’s really the key to the whole thing. Now, the state of course sells the gold, or has the miners sell the gold, and so the state has the dollar proceeds from the sales of the gold. And the state obviously is servicing conventional dollar bonds with this gold income, which means the state has a mismatch. It has a gold income servicing a dollar bond, or dollar liability. Which means, if the price of gold ever goes down, the state suddenly has an unexpected budget shortfall, a budget deficit. So, the first proposition to refinancing its paper bonds with gold bonds is it will eliminate the risk of this deficit, eliminate the gold price risk, that it is currently incurring. The second thing that I think is the more interesting one, and that is the gold bond provides a mechanism to get out of debt. And that mechanism is when the state options off the gold bond, my proposal is don’t sell it for dollars, you’re not trying to raise dollars. If you want to raise dollars, sell regular bonds. And don’t sell it for gold, you’re not trying to raise gold. Gold itself is not really a use to you if you’re the state of Nevada. Tell the buyers that they have to bid in existing Nevada dollar bonds. That is they have to tender, go to the market and buy some Nevada paper, and then tender that, redeem that ultimately for the gold bond in exchange. So, it’s a mechanism to redeem one form of debt, which is dollars, which is irredeemable debt normally, and exchange that for the new gold bond, which the state can amortize because it has a gold income, the mining tax that we just talked about. Now, what this does, is it sets up an exchange ratio between paper bonds and gold bonds. So, let me put some numbers to this, and make this pretty straightforward. So, today that gold price is around $1,250 an ounce. Let’s say the state were to sell 1,000-ounce gold bond. That means that bond, a thousand ounces is worth 1.25 million dollars. So, what you’d expect to happen in the first option, is that buyers say okay, you’re giving 1.25 million dollars’ worth of gold, we will buy and bring it to you 1.25 million dollars’ worth of outstanding paper bonds to exchange for the gold bond. However, we’re not talking about gold delivered today, this is a bond. We’re talking about gold, or dollars, payable in 10, or 20 or 30 years. So, now you start to think the dollar’s being debased at two percent per year, that’s the Fed’s target, and of course they can over shoot. What is that dollar going to be worth in 10, or 20 or 30 years versus what is the gold going to be worth. And so, what I expect will happen, is the market will then offer more than 1.25 million dollars’ worth of outstanding Nevada bonds, in exchange for a thousand-ounce gold bonds. That as the market will retire existing Nevada state debt at a discount in order to get the gold bond. So, that mechanism of retiring the debt at a discount, is a huge benefit to the state. If the state ends up retiring its debt at a 20 percent discount, that’s a huge benefit the state couldn’t get any other way. Mike Gleason: Yeah, it’s very fascinating. 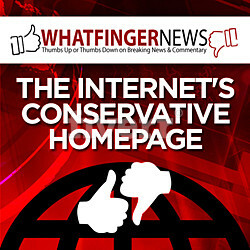 Hopefully something that will actually gain more traction. There’s some tremendous advantages in all of that, as you just explained. As we begin to wrap up here Keith, give us your take on the markets today. About whether or not you think we have honest price discovery, and where we go from here in the metals. Keith Weiner: The broadest thing is no we don’t have honest price discovery, because the government teaches us their propaganda from the age of two, that gold is just a volatile commodity, and the dollar is money. But, in a narrower sense I think anybody who wants to buy physical gold, or gold futures, can do so, and I think there’s a market that provides the clearing price for that at any given moment. Mike Gleason: Well, I certainly want to thank you for your time, it was a very enjoyable conversation, and we definitely support your efforts in pursuing and getting more traction to see sound money restored to our nations monetary system and more and more people will hopefully look at gold and silver as a solution to the global financial problems. So keep up the good work, and I hope we can speak with you again, and follow this as it continues to develop. Take care Keith. Keith Weiner: Thanks, I look forward to it Mike. Mike Gleason: Well, that will do it for this week. Thanks again to Keith Weiner of Monetary Metals and the Gold Standard Institute. For more information the web addresses are Monetary-Metals.com and GoldStandardInstitute.us and GoldStandardInstitute.net, be sure to check those out. And check back here for next Friday for our next Weekly Market Wrap Podcast. Until then, this has been Mike Gleason with Money Metals Exchange. Thanks for listening, and have a great weekend everybody.